This power freak can't stop. 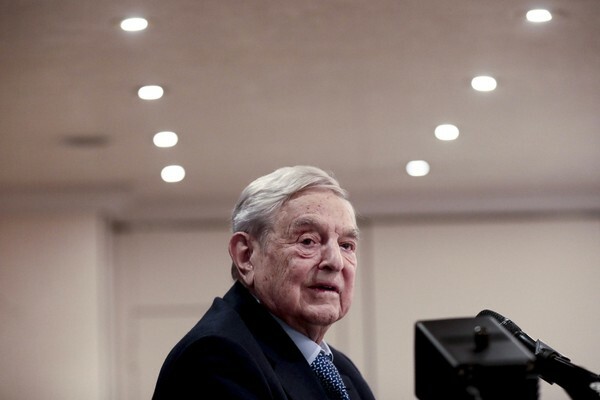 Details of a speech delivered by billionaire George Soros last Thursday at a private dinner event at the World Economic Forum in Davos, Switzerland have leaked. Bloomberg reports that Soros applauded the European Union's heightened enforcement aimed at Google and Facebook. He also called for greater regulation in the United States of the tech companies according to a transcript of the speech that was obtained by the media organization. This is why it is a principled and strategic error for libertarians to call for regulation of internet companies to force them to be more open. For example, James Damore should not be cheered for suing Google. Libertarians should be about shrinking government, not sanctioning government power. Sanctioning government power then becomes a "gain of control" game. Libertarianism is about the elimination of power centers. It is at the epicenter of why libertarians should be anti-Soros. He is all about creating power centers and controlling them. This is anti-freedom. libertarianism is essentially about live and let live. He's not the only one asking for nore regulation or control over Google or Facebook. Recent Trump cheerleader Tucker Carlson made the claim, on his show, that Google should be regulated like a "public utility". Clearly, Fascism is not the sole property of creepy leftists. As you can see, creepy rightist embrace it with equal enthusiasm. "We're all Statists now" should be the new aphorism. As Michael Malice once said; "Conservatism is socialism going the speed limit"
I was reading about this just last night NY C, national security is such a wonderful thing isn’t it? This will be the deep State’s most wonderful dream come true if it happens. I don't get it. Google and Facebook are globalist SJWs from the top down. Why is Soros unhappy with them? I don't think this is equivalent to Damore suing google. There is a possible positive outcome to the Damore thing where people see how both their favored and non-favored races can use the law in their favor. When people who have been abusing this anti-descrimination stuff see it used against them, they may understand why they need to tone it down. If I could change the game I would, but for now this is the field we have to play on.